CAIRO, Egypt – Egyptian police on Sunday arrested 13 people who were allegedly planning attacks against Christians and public institutions in the country. 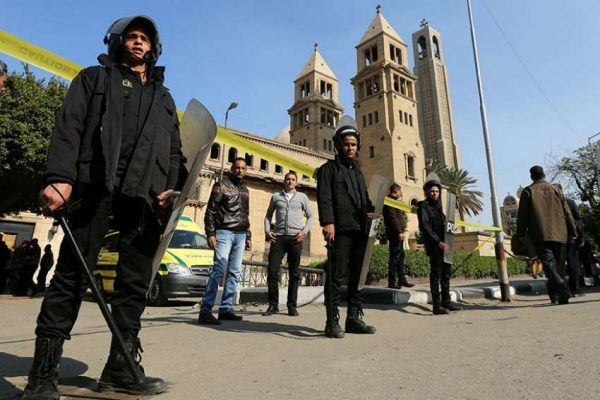 Suicide bombing attacks against two Egyptian Churches on Palm Sunday (April 9), which caused the death of 44 Christians and injured more than 100, have led the authorities to implement security measures outside churches. In a separate incident Tuesday (April 18), gunmen opend fire at a police checkpoint near the historic St. Catherine’s Monastery leaving one dead and four wounded. The Islamic State have claimed responsbiltiy for all three attacks. The Egyptian government has decree a state of emergency for three months, to which was joined the decision by some Christians to celebrate Easter Sunday discretely.